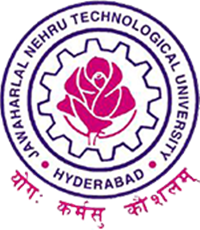 Sub: JNTUH ‐Exam Branch – Rescheduling of B.Tech courses University Examinations scheduled on 05‐12‐2017(FN & AN) and 09‐12‐2017 only B.Tech (FN) – Intimation ‐ Reg. It is here by informed that the B.TECH courses Examinations to be held on 05‐12‐2017 (FN & AN) and 09‐12‐2017 only B.Tech (FN) are postponed and rescheduled as mentioned below. This is for your information and requested to inform the same to the students and make necessary arrangements for accommodating changes in the exam schedule. Exams which are on 9th for 3-2 sem are postponed according to the update. But the exams were conducted how this is possible.